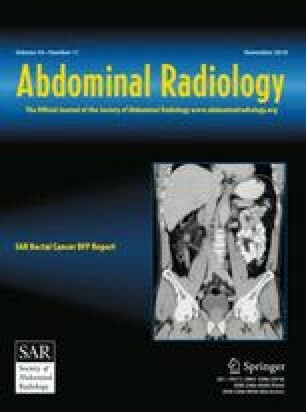 To retrospectively assess the relative diagnostic utility of radiologist-recommended ultrasound (US) following emergency department (ED) abdominal and pelvic computed tomography (CT) in patients with non-traumatic abdominal and/or pelvic pain. Blinded to clinical outcomes, two radiology residents and an attending radiologist reviewed radiology reports and relevant medical records for all adult patients from EDs at two academic medical centers from one institution over a 3-year time period, who underwent abdominal/pelvic US within 72 h of an initial IV contrast-enhanced abdominal and pelvic CT for non-traumatic abdominal and/or pelvic pain. Incremental diagnostic utility of subsequent US was deemed present when (1) US findings were discordant with those at CT, or (2) findings were concordant, but US yielded additional relevant diagnostic information. Diagnostic utility was stratified by whether examinations were radiologist-recommended or independently ordered by treating physicians. 319 encounters satisfied the inclusion criteria, including 194 female patients (18–98 years of age, mean of 59.8 years) and 125 male patients (20–90 years of age, mean of 63.2 years). 7 (2.2%) subsequent US examinations were discordant with the initial CT, 100 (31.3%) were concordant but provided relevant additional information, and 212 (66.5%) were concordant without providing additional information, for an overall diagnostic utility of 33.5%. Of subsequent radiologist-recommended US examinations, 70.0% (63/90) yielded incremental diagnostic utility vs. 19.2% (44/229) ordered independently by treating physicians (OR 3.65; 95% CI 2.31–5.75). For those encounters in which US provided incremental diagnostic utility, the most commonly assessed anatomical areas were the biliary system and the female adnexal region. In ED patients with non-traumatic abdominal and/or pelvic pain undergoing abdominal and pelvic CT, follow-up US examinations recommended by radiologists are more likely to provide incremental diagnostic utility than those independently ordered by their treating physicians. In order to optimize the value of advanced imaging, radiologists should assume greater roles in team-based utilization management. American College of Radiology (2017) ACR Appropriateness Criteria®. https://acsearch.acr.org/list. Accessed Sept 2017.